Austin Neighborhoods Council .com: Important Event! 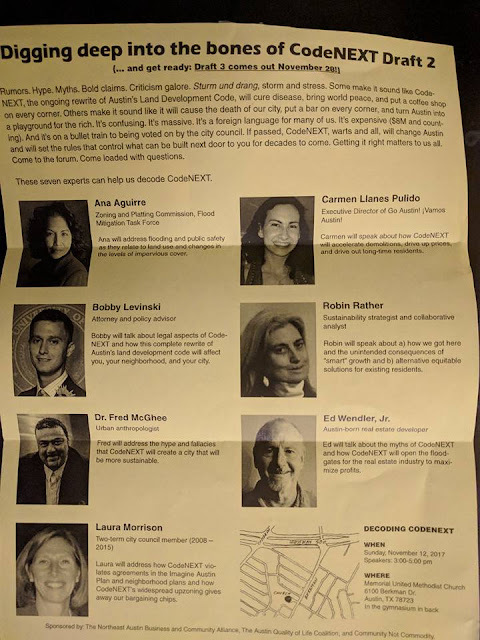 Decoding CodeNEXT - 7 Experts Help Decode CodeNEXT Nov 12! 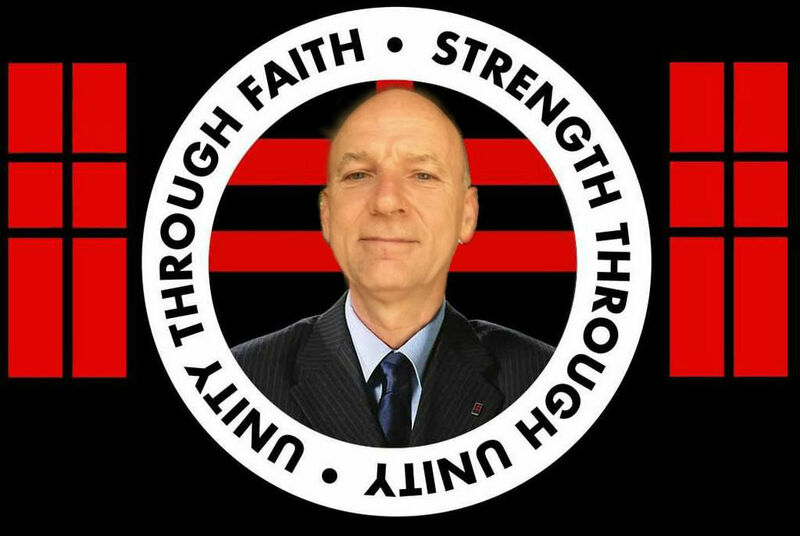 Important Event! Decoding CodeNEXT - 7 Experts Help Decode CodeNEXT Nov 12! Join everyone for this important event on November 12! 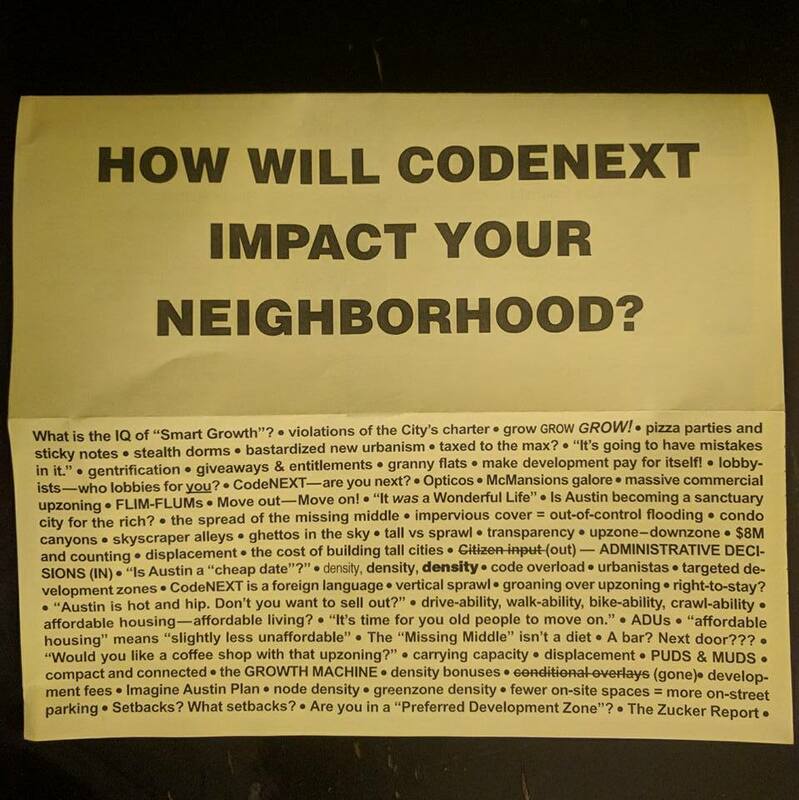 Learn how CodeNEXT will impact your neighborhood at this approved AustinNeighborhoodsCouncil.com event (TM)! These balanced speakers will teach you everything you need to be worried about! Opinions expressed on this site are my own personal opinions and not officially associated with the "Austin Neighborhoods Council." 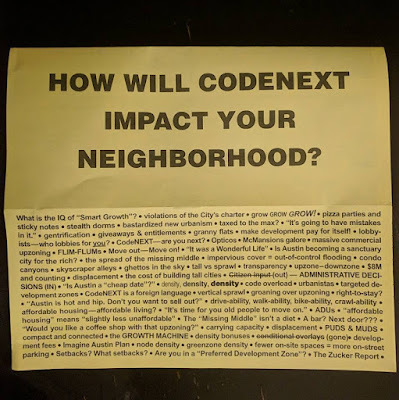 Although, most of my opinions will probably be the same and I completely support everything that they do to keep undesirables out of our neighborhoods!